Just a 10 minute walk from one of the Sunday Times' Best Beaches of Europe, Periyali resort is the perfect location for family fun. 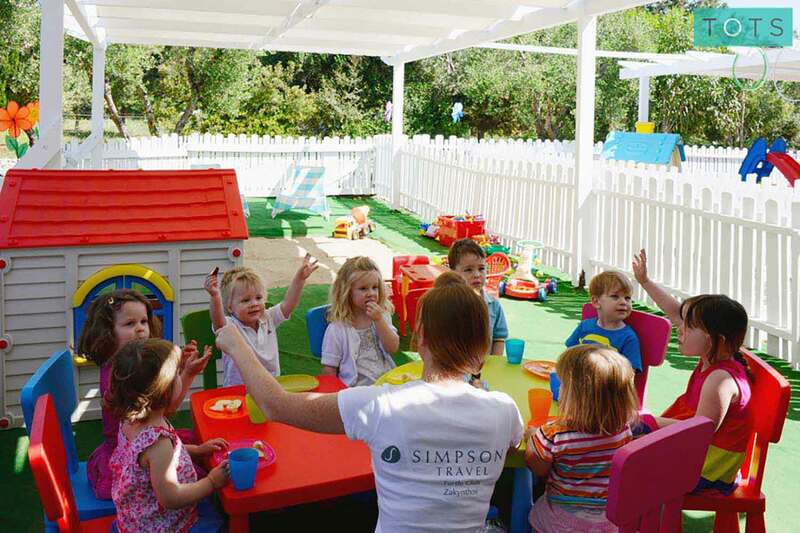 With an excellent resort crèche and kids’ club run by British nannies, communal pool and toddler pool with plenty of toys, plus a whole lot more, it’s sure to be a hit with guests of all ages. Periyali is the perfect place for family fun. 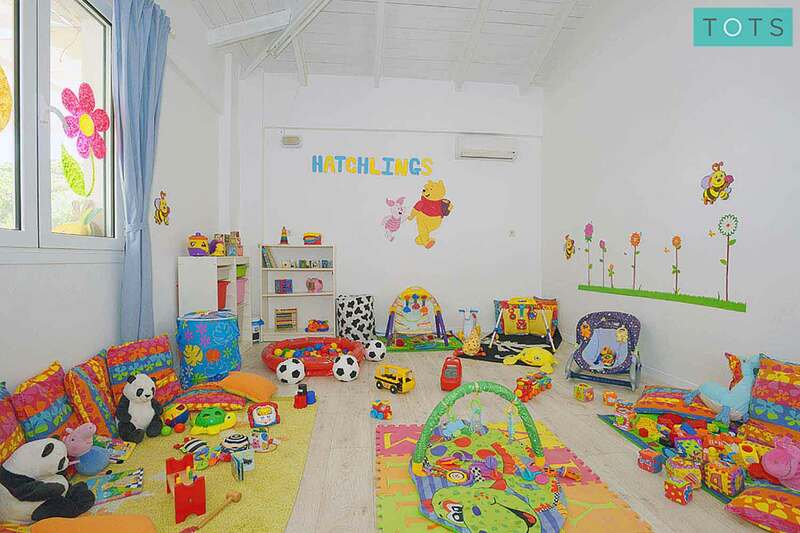 Children will love the excellent kids’ club and crèche which offers a range of toys and activities run by British nannies, giving parents a chance to relax. The excellent resort pool is also sure to be a hit, with its selection of pool toys and special toddler pool. A great spot to meet new friends. 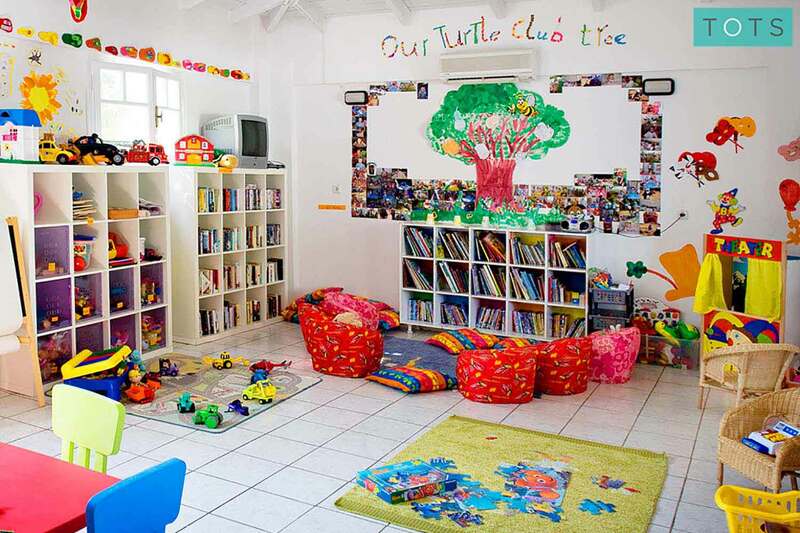 Run by British nannies, the Turtle Kids’ Club has got a huge variety of toys and games for tots to play with, including an outdoor play area with a sandpit. Choose from half day, full day or evening sessions. 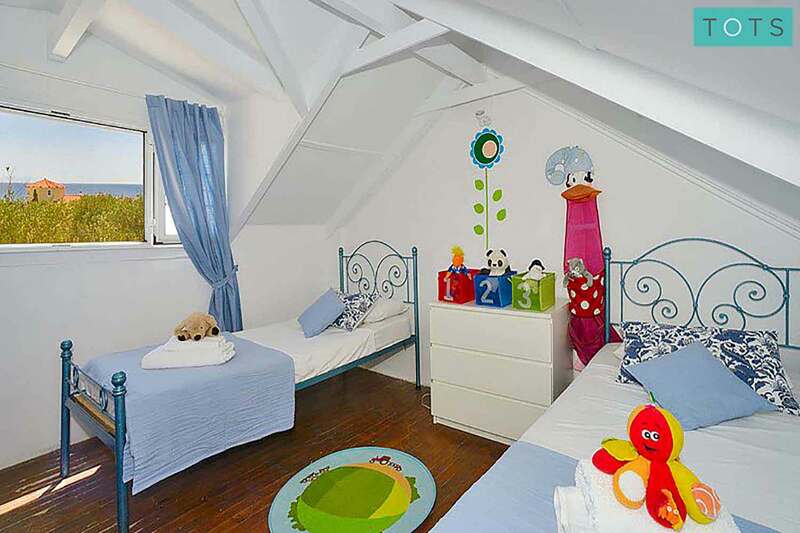 With fun and colourful interiors, each Periyali villa has a special kids’ bedroom that’s stocked with plenty of toys. The perfect place for little ones to relax after a long day in the pool, wave goodbye to bedtime tantrums! The main shared family pool on Periyali resort is a hub of family fun; children will love the array of pool toys or splashing in the shallow end, plus little ones can enjoy a paddle in the special toddler pool. As you unwind by the pool, pick up some welcome refreshments, snacks and light meals with ease from the convenient Poolside Bar. When dinner time arrives, head out to the great selection of restaurants, bars and tavernas that are just a five minute walk from the resort. For light meals, ice-creams and refreshments as you enjoy relaxing by the resort pool, simply head to the handy poolside bar. To enjoy some authentic Greek food or for familiar family favourites pay a visit to the many local restaurants and bars in the nearby area. 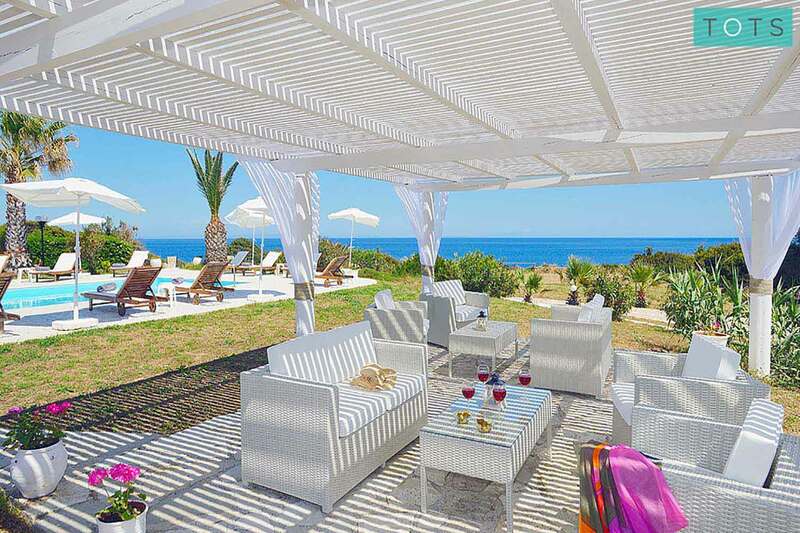 There’s a nice selection of laidback tavernas just a five minute walk from the resort, ideal for families. Periyali has plenty to entertain the family including a stunning resort pool and toddler pool, with plenty of pool toys, and on-site spa treatments for mum and dad to enjoy whilst the little ones are having a great time at the kids’ club. Not to be missed is the incredible turtle conservation beach, voted one of the ‘Top Beaches of Europe’ which is just a ten minute walk away. The stunning Gerakas beach, named one of the ‘Top Beaches of Europe’ by The Sunday Times is a short walk away. The beach has clear waters and soft sands, plus it’s a turtle conservation nesting beach so you may even make some new finned friends! Get a bit of friendly competition going on the fun mini golf course. The resort pool is the perfect place for a fun, splash filled day. 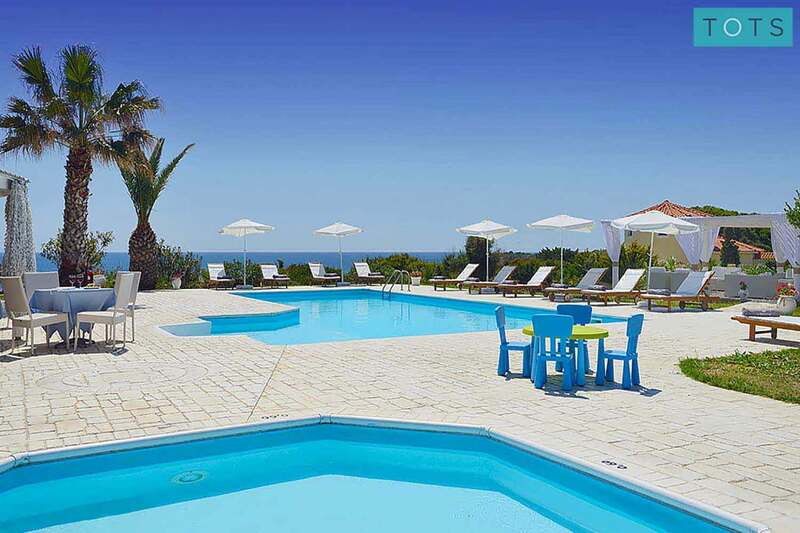 There are plenty of sun loungers around the edge plus a pool bar, toddler pool and pool toys to entertain the tots. Spoiling yourself is an important part of any holiday – so why not give yourself a treat and enjoy a relaxing massage or spa treatment offered on-site at Periyali resort. We’ve handpicked the following resort villas as the best and most suitable for families with young children. 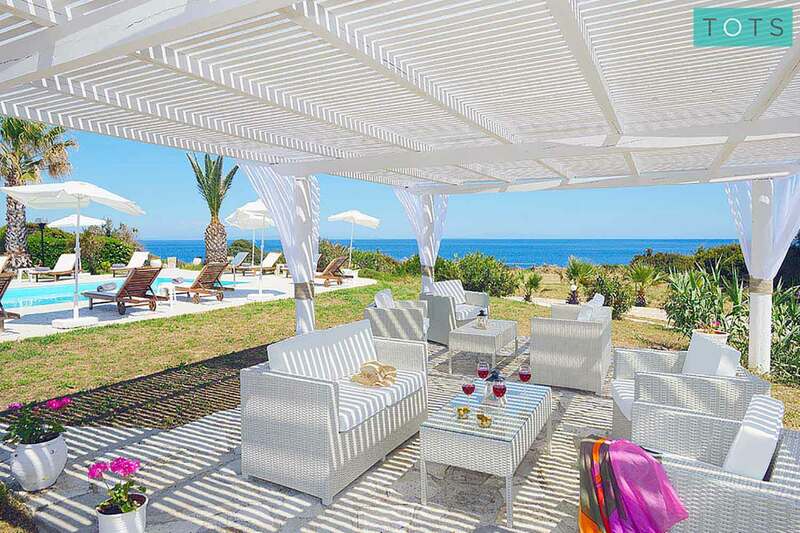 Each of these luxurious villa options are ideal for families looking for a relaxing and stress-free holiday and come fully equipped with our Essential Kit Guarantee, for parent peace of mind. Families will be spoilt for choice during a stay at Periyali. 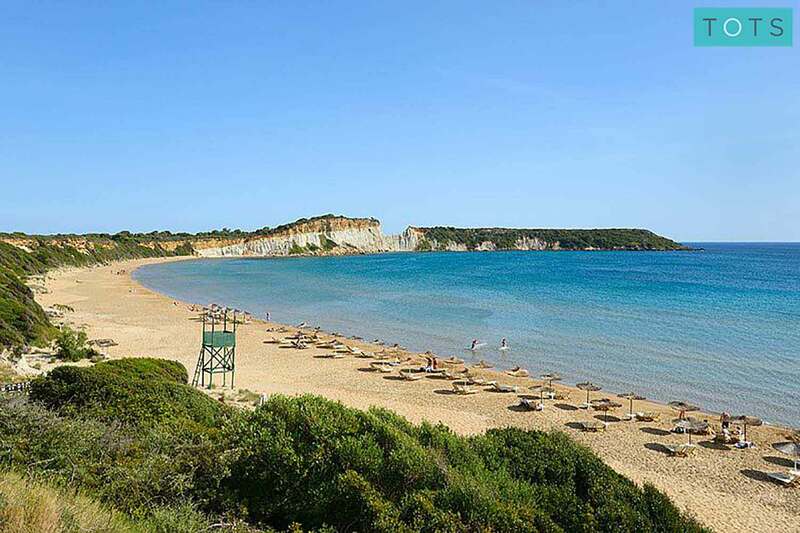 There’s a lovely selection of sandy beaches within easy walking and driving distance, an arts and ceramics studio where families can create and paint pottery, families can take a glass bottom boat tour to Turtle Island, visit the beautiful Zakynthos town or even visit the island’s own Wet n’ Wild Waterpark.